If you are lucky enough to have a pomegranate or two in the garden, you may wonder what to feed pomegranate trees or if there is even any need in feeding pomegranates. Pomegranates are fairly hardy tropic to sub-tropic plants that are tolerant of dry, hot conditions and oft inhospitable soils, so do pomegranates need fertilizer? Let’s find out. There is not always a need for fertilizer for pomegranate trees. However, if the plant is doing poorly, especially if it is not setting fruit or production is minimal, a fertilizer for pomegranate trees is recommended. A soil sample may be the best way to determine if the pomegranate tree is really in need of supplemental fertilizer. The local Extension office may provide soil testing services or, at the very least, be able to advise where to purchase one. Also, some basic knowledge of pomegranate fertilizing needs is helpful. Pomegranates thrive in soils with a pH range from 6.0-7.0, so basically acidic soil. If the soil results indicate the soil needs to be more acidic, apply chelated iron, soil sulfur or aluminum sulfate. Nitrogen is the most important element that pomegranates need and the plants may need to be fertilized accordingly. First and foremost, pomegranate trees need adequate water, especially during the first few years as they establish. Even established trees need additional irrigation during dry spells to improve growth not to mention fruit set, yield, and fruit size. Don’t fertilize pomegranates during their first year when you initially plant the tree. Mulch with rotted manure and other compost instead. In their second year, apply 2 ounces of nitrogen per plant in the spring. For each successive year, increase the feeding by an additional ounce. By the time the tree is five years old, 6-8 ounces of nitrogen should be applied to each tree in late winter prior to leaf emergence. You can also go “green” and use mulch and compost to add nitrogen as well as other micronutrients beneficial to pomegranates. These gradually break down in the soil, continuously and slowly adding nutrition for the plant to uptake. 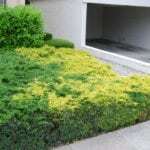 This also lessens the possibility of burning the shrub with the addition of too much nitrogen. Too much fertilizer will cause an increase in foliage growth, lessening overall fruit production. A little fertilizer goes a long way and it is better to underestimate than overestimate.